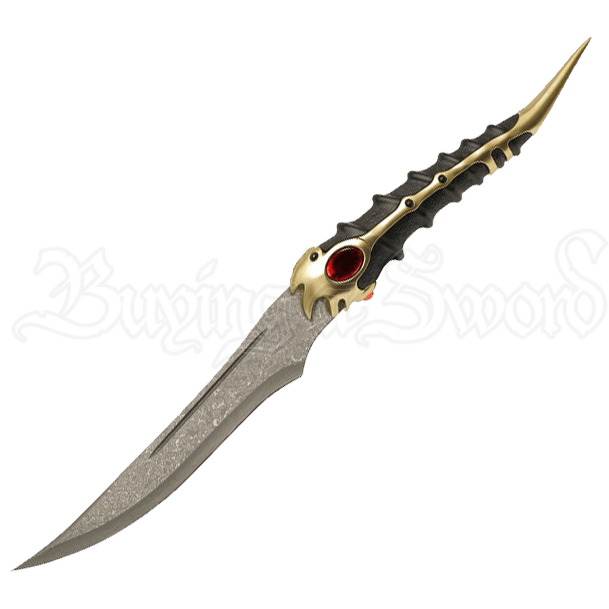 A blade of Valyrian steel is a rare find, and doubly so when it is such a beautiful item as this Catspaw Blade Dagger. It is far too ornate a weapon to be wielded by some common assassin, and yet it was in the hands of an assassin that Lady Catelyn Stark found this wholly uncommon weapon. Originally taken from the assassin who was sent to finish off her son, Bran, after his fall from the tower, this blade eventually made its way to Kings Landing, where Lady Stark showed it to Lord Petyr Baelish, who identified the dagger as belonging to Tyrion Lannister. And indeed, the blade does have a regal appearance, fit for one of the richest families in all of Westeros. 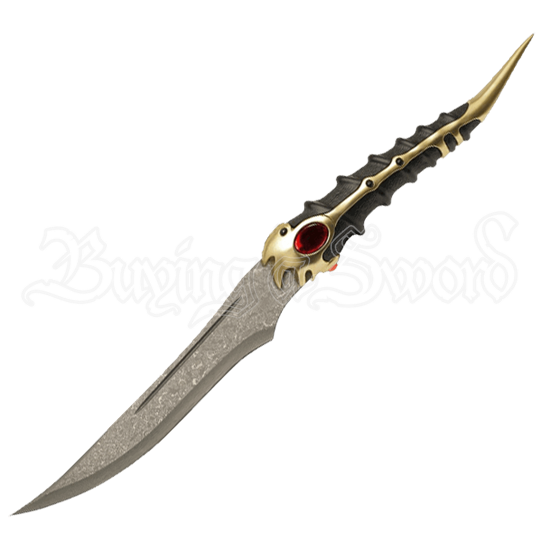 The Catspaw Blade Dagger is an impressive collectible, one designed and modeled after the very-same prop that was featured in the HBO hit series, A Game of Thrones, which is, in turn inspired by George R. R. Martins book series, A Song of Ice and Fire. It is painstakingly recreated to feature the utmost detail possible, possessing a high carbon blade of Damascus steel, which wonderfully recreates the look of traditional Valyrian steel. The hilt is faux dragon bone, made from fine acrylics, and set with 24k gold plated metal parts, as well as ornate little ruby-red gemstone accents. Each knife is serialized to mark its place in the production run, and it also includes a display plaque of silkscreened wood that shows off a Game of Thrones motif. This dagger is a part of a limited edition 2500 piece production run. It serves perfectly as a stunning display piece to have adorning the wall of your home, either as a collector of fine weapons or as an enthusiast of the Game of Throne series.